This one-of-a-kind program uses media to assist youth in southeastern Minnesota to access their communities' historical and cultural resources to create compelling personal narratives of experience in rural America. Specifically, students from Houston Co. worked with historians and media artists to investigate topics surrounding local worker identity and economic history. They developed technology skills over a series of intensive workshops to produce multimedia stories that will undoubtedly inspire local conversations on economic sustainability, opportunity, and regional identity. Houston County Minn. is the southeasternmost county in the state, with a population shy of 20,000. It's bordered on the east by the mighty Mississippi River and Iowa to the south. 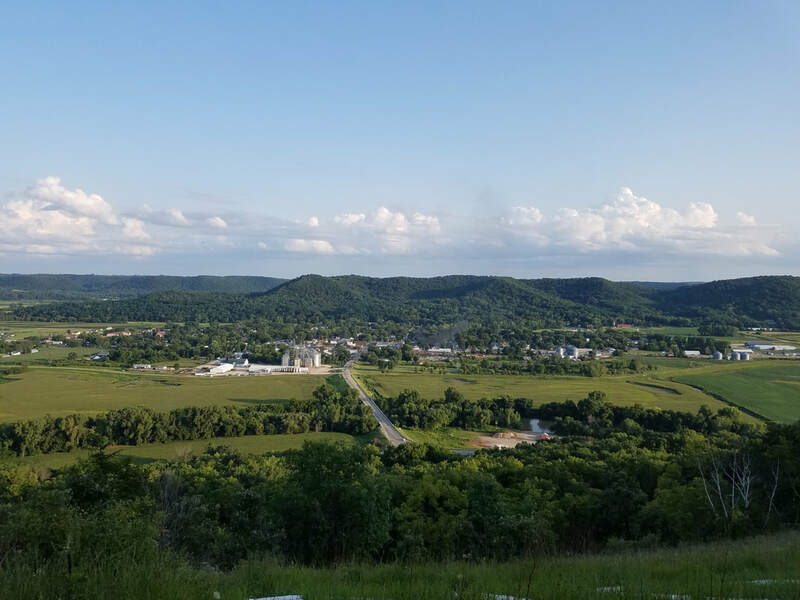 Situated within the Driftless area--a small unglaciated region of the Midwest--its 569 square miles include gorgeous bluffs, river valleys, limestone outcroppings, caves, sinkholes, and a diverse abundance of wildlife and habitat. Houston has a predominantly agricultural and manufacturing economy with many 3rd, 4th, and even 5th generation farms still in operation. The unique topography of the Minnesota's Driftless has kept farms small and mostly family operated. Houston Co. additionally boasts incredible natural amenities for bicyclists, hikers, bird watchers, and weekend adventurers. In the northwest, the City of Houston (pop. 979) is the eastern terminus of the popular Root River Bike Trail that travels the former Chicago, Milwaukee, & St. Paul rail line. Why should we talk about work? Stories: YES Houston began as a companion program for the Smithsonian Traveling exhibition The Way We Worked. The exhibit was adapted from an original exhibition developed by the National Archives and explores how work became such a central element in American culture by tracing the many changes that affected the workforce and work environments over the past 150 years. The exhibition draws from the Archives’ rich collections to tell this compelling story. Students in the Stories: YES Houston program set out in April 2018 to collect their own local voices and stories about work, workers' lives, and Houston County's labor history. The direction that each story took was self-determined and creatively approached by our students. Their final narratives provide fresh and current perspectives that can (and should!) be used to help Houston County communities plan for their futures. Stories: YES Houston was made possible by generous support from a Southern Minnesota Initiative Foundation (SMIF) Small Towns Grant, MiEnergy Operation RoundUp, and the AcenTek Foundation -- thank you!